Anytime the calendar hits a “Friday the 13th,” we all take it as an excuse to discuss the legendary horror franchise. And why not? It’s named after this date, after all. So to celebrate, we’ve rounded up a bunch of cool Friday the 13th posters and invite you to add some more too. 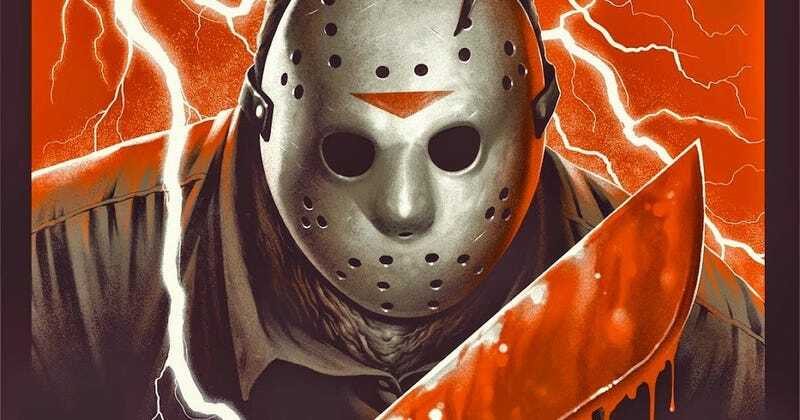 Here are just a few of the cool Friday the 13th art prints and posters we grabbed from around the Internet. This is by Phantom City Creative. This is by 100% Soft. This is by Matt Ryan Tobin. This is by Tom Whalen. This is by Anthony Petrie. This is by Jason Edmiston. This is by Jay Shaw. This is by Gary Pullin. This is by Francesco Francavilla. And, of course, no Friday the 13th poster post would be complete without the original one-sheet, done by Alex Ebel. We obviously missed a bunch (and fully acknowledge those last two aren’t “Jason” posters) so post some of your favorites below.